A classic summer read-aloud full of yummy fun. Say hello to Mr Grinling, the lighthouse keeper. He lives in a small white cottage on the cliffs, and every day he rows to his lighthouse to polish the light. Now it’s the lighthouse’s 200th birthday – time for a fancy dress party! Mr Grinling and his wife want to dress up as pirates. But when a real crew of pirates appear, the Grinlings get a big surprise! Are the scurvy pirates all they seem? And what does all this have to do with breakfast? 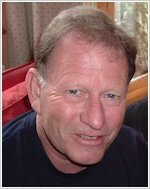 Born in New Zealand, Ronda moved to the UK with husband David Armitage and their two young children in 1974, and has remained here ever since, working as school librarian, teacher, family counsellor and author. Ronda received the Esther Glenn award for The Lighthouse Keeper’s Lunch in 1978 and the Coventry Inspiration Book Award for A Very Strange Creature in 2013. David Armitage was raised in Australia and studied fine art before embarking on a career which has seen his paintings exhibited throughout New Zealand, Australia and the US. He now paints and exhibits from a studio at home and is regularly exhibited throughout the UK. 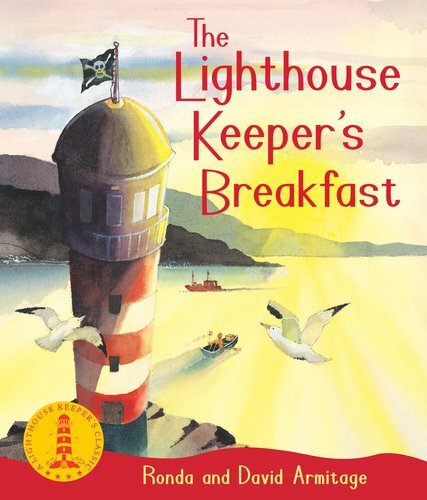 The Lighthouse Keeper’s Lunch won the 1987 Esther Glen Award.